James Millikin Bevans was born in San Francisco, California, in 1899. He entered the U.S. Military Academy in June 1917, and was discharged in June 1918. The following September he enlisted in the Student Army Training Corps at Princeton University and completed his training at the Officer's Training Camp at Camp Lee, Virginia. On Aug. 4, 1921, he received a Regular Army Commission as a Second Lieutenant of Field Artillery and was promoted to First Lieutenant. In September 1921, General Bevans entered the Field Artillery and was promoted to First Lieutenant. In September 1921, General Bevans entered the Field Artillery School at Camp Knox, Kentucky. He graduated in June 1922, and was assigned to Camp Bragg, North Carolina, for duty with the 17th Field Artillery. In October 1924, he became professor of military science and tactics at Iowa State College. General Bevans enrolled in the Air Service Primary Flying School at Brooks Field, Texas, in September 1925 and transferred to the Air Service Advanced Flying School at Kelly Field, Texas, the following May. He graduated in September 1926, and was assigned to Fort Riley, Kansas, with the Seventh Division. In June 1927, he returned to Brooks Field. In October 1927, General Bevans was transferred to the Air Corps and assigned to March Field, California, as a flying instructor and commandant of flying cadets at the Air Corps Primary Flying School. He went to France Field in the Panama Canal Zone in July 1930 for duty with the Sixth Composite Group. In May 1931 he was transferred to the Seventh Observation Squadron at that field in September joined the 44th Observation Squadron there. He became adjutant of France Field in December 1931 and served until July 1932 in that capacity. General Bevans was assigned at the Air Corps Training Center, Randolph Field, Texas, as flying instructor, commandant of flying cadets, and adjutant. In August 1936 he enrolled in the Air Corps Tactical School at Maxwell Field, Alabama, and graduated in June 1937. The following August he entered the Command and General Staff School at Fort Leavenworth, Kan., completing the course a year later. 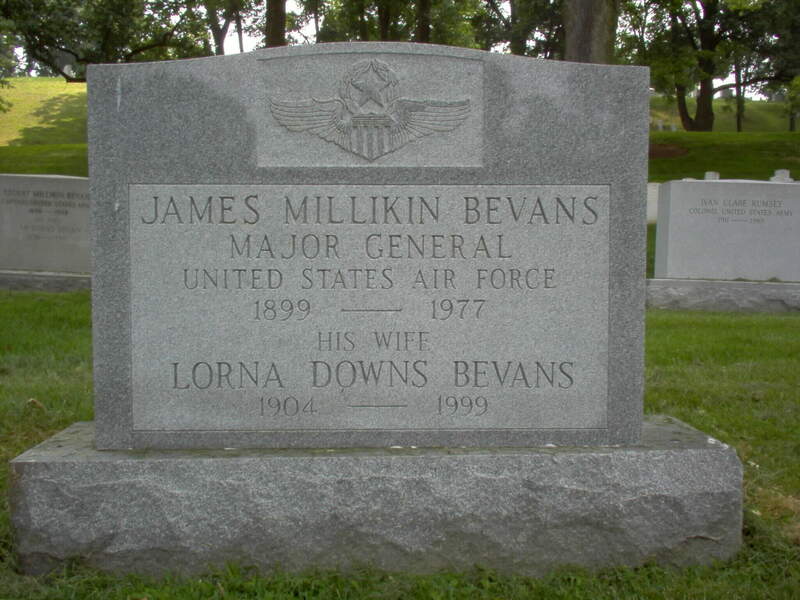 In September 1938, General Bevans went to Mitchel Field, Long Island, New York, as a base adjutant. In January 1940 he became assistant executive officer in the Office of the Chief of Air Corps. He was appointed chief of the Enlisted Section of the Military Personnel Division in June 1941; chief of the Officer' Section of that division in October of that year and assistant for personnel the following January. In March 1942 he became director of personnel at Air Force headquarters and later that month was named assistant chief of Air Staff, for personnel. General Bevans was appointed, in February 1945, deputy for administration of the U.S. Army Forces in the Mediterranean Theater. In June of that year he became commanding general of the Air Forces there. In August 1945 he became assistant chief of staff for personnel of the U.S. Forces in Europe. In June 1947 he became director of personnel and administration of the European command, and the following December returned to Air Forces headquarters in Washington. In January 1948 he was assigned to Air Materiel Command headquarters at Wright-Patterson Air Force Base, Ohio, as chief of personnel and administration. General Bevans has been awarded the Distinguished Service Medal, Legion of Merit and Bronze Star Medal. He is rated a command pilot, combat observer, technical observer and senior aircraft observer. 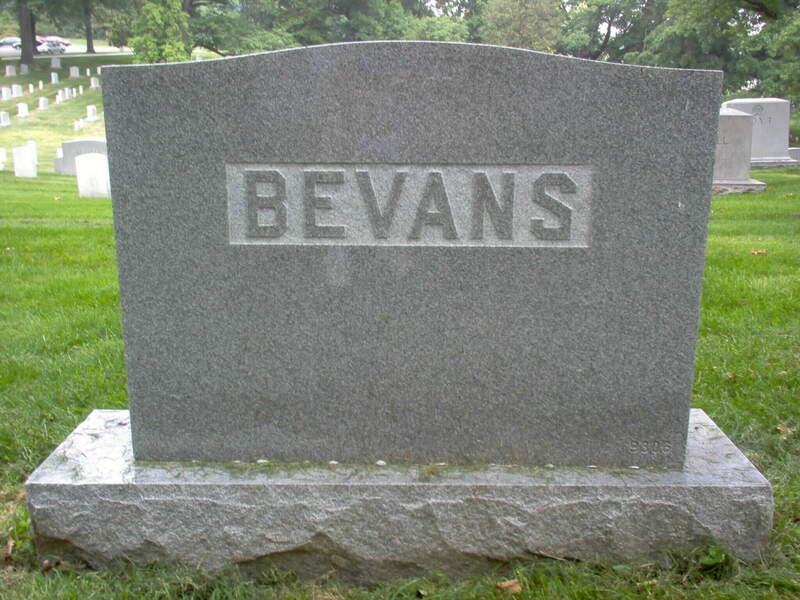 NOTE: He is possibly the son of James Lung Bevans, Colonel, United States Army, who is buried in an adjacent site in Section 6 of Arlington National Cemetery. Also see Floyd Kramer, Colonel, United States Army, and Stuart Milliken Bevans, Captain, United States Army.